StickyJ Medical ID Jewelry is a provider of Oregon POLST Registry ID bracelets. 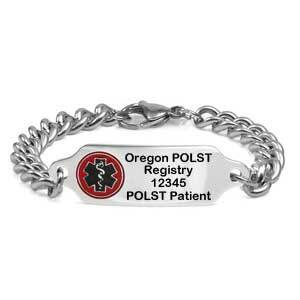 The metal bracelet displays the internationally recognized Staff of Aesculapius medical symbol on the front along with the words Oregon POLST Registry, the patient's registration number, and the words POLST Patient. 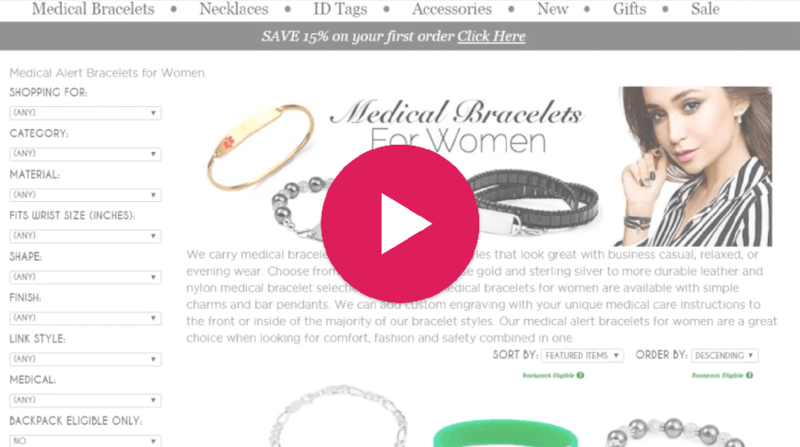 The patient’s first and last name must be engraved on the first line of the back of the bracelet, and we recommend that the patient's date of birth appear on the second line in the form MM/DD/YYYY. There is room on the back to add emergency contacts or other health concerns, if desired. Up to 5 lines of 22 characters each, including spaces!